Instead of knitting a hem for this jacket, you will be working a few rows in garter stitch. In combination with changing colors and patterns worked in stockinette, this provides a classic sporty look. The casual cut ensures that the jacket is easy to put on and take off. 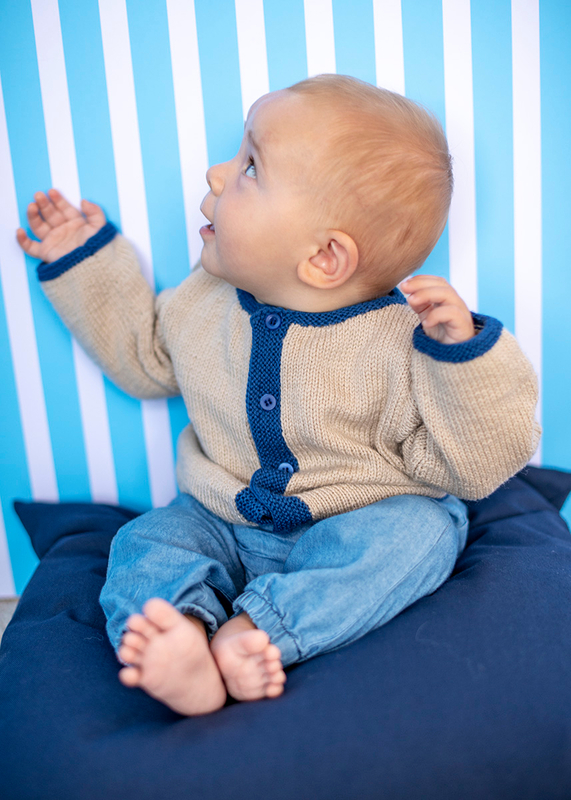 Which yarn do you prefer: Baby Smiles Merino Wool (100% new wool) or Baby Smiles Bravo Baby 185 (100% polyacrylic)? Since both yarns have the same gauge, they are easily interchangeable. Instructions include sizes 62/US 0-3 m, 68/ US 3-6 m, 74/US 6-9 m, 80/US 9-12 m, 86/ US 12-18 m and 92/US 18-24.